At Tungum, we take our responsibilities to the local community seriously, and as such are always keen to dedicate time and effort to our Corporate Social Responsibility (CSR). Most recently, staff members took part in the Cheltenham Half Marathon to raise funds for the Sue Ryder Leckhampton Court Hospice, and those efforts raised more than £650 for the cause. Leading from the top, our MD Ian Johnstone completed the race in an impressive 2h 01m, with the rest of the running squad coming in over the next 20 minutes or so. Other members of staff have undertaken cycling challenges for good causes and plans for the coming year are to encourage everyone to become involved in CSR, with Sue Ryder Leckhampton Court as our nominated charity. In recent years, best practice for CSR has seen a move from being a very open activity, allowing staff to undertake work or challenges that fits with their personal goals, to a more cohesive approach looking at plans that fit with both personal and corporate agendas. By aligning CSR with the corporate image, the benefits are felt by both the charity and the company. 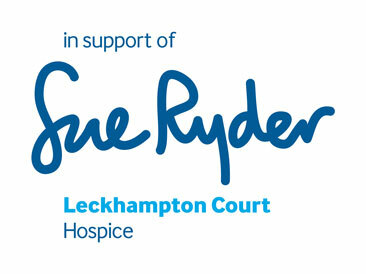 For the next 12 months, we have nominated the Sue Ryder Leckhampton Court Hospice as our charity of choice, and we will be encouraging all our team members to take part in an event or activity to raise much-needed funds for the Hospice, supporting the valuable work that they undertake. At Tungum, we always want the best for our customers, looking to help them achieve their goals, whatever they may be. We will be aiming to achieve the very best for Sue Ryder Leckhampton Court, helping them to provide the much-needed services relied upon by so many.